After performing more than 200 shows worldwide as the lead vocalist for west coast funk and soul outfit “Orgone”, Niki J Crawford’s new band bring the heat with a high energy funk and soul party that is guaranteed to leave you with a positive and memorable impression. Niki J. Crawford’s first EP titled The Genesis Block is carried by soaring and multi-layered vocals that are finely attuned and anchored by the type of rhythmic instrumentation that allows her range and depth to be heard. The songs are rooted in unabashed free expression with profoundly selfless lyrical compositions usually reserved for the most mature of songwriters. 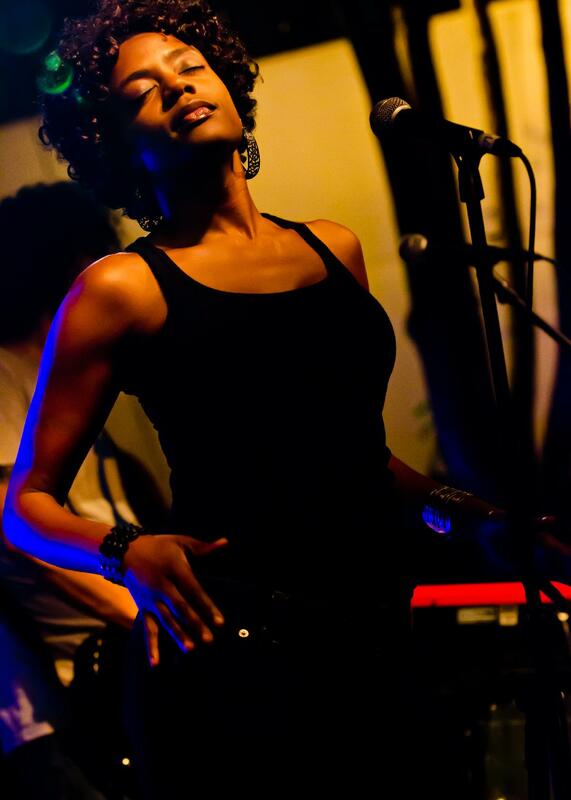 and Orgone just to name a few of the legendary performers who have sought out her talent. She has performed on various late-night TV shows such as Jay Leno, David Letterman, Conan O’Brien, and Saturday Night Live and lit up festival stages across the world like Bonnaroo, Wakarusa, Montreal Jazz, Summer Camp, Bear Creek, All Good, High Sierra and Jam Cruise.